Vitamin C serum is oil- and water-based liquid that contains high concentrated amounts of L ascorbic acid, chemically active form of vitamin C and has pH3.5. It comes in 10%, 15% and 20% concentrations. 1. Antioxidant properties: Neutralize the free radicals generated due to UV light exposure. 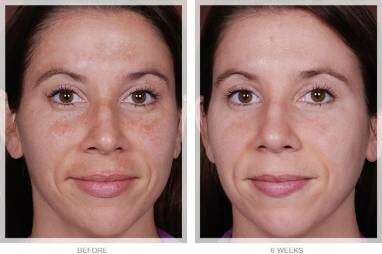 2 .Photoprotection: By neutralizing free radicals, effect not seen with sunscreens. It works best in conjunction with Vitamin E (Vitamin E), which potentiates the action of Vitamin C four-fold. A combination of 0.5% ferulic acid with 15% Vitamin C and 1% Vitamin E can increase the efficacy of Vitamin C eight-fold. 3. Essential for collagen biosynthesis. To be effective as an anti -aging product, a serum should contain 15% - 20% of L ascorbic acid should be used. The efficacy is proportional to the concentration, but only up to 20%. These include itching, redness, peeling for a few days and rarely mild chemical burns in sensitive skin types. To reduce side effects, start weaker concentration (5 - 10%).